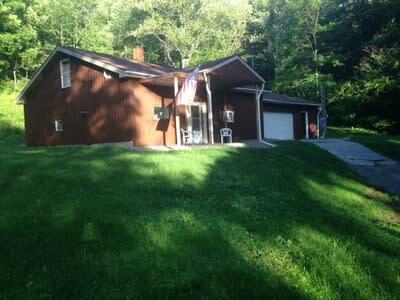 The Marsh Creek Cabin is located in the beautiful Finger Lakes region just outside of Corning, NY. A great centralized location to the region's great attractions, Marsh Creek Cabin is a peaceful setting with 2 bedrooms and 1 bath in a warm country themed property. Enjoy the property's setting by taking a walk through the woods for a chance to see some local wildlife or simply relax by the firepit. 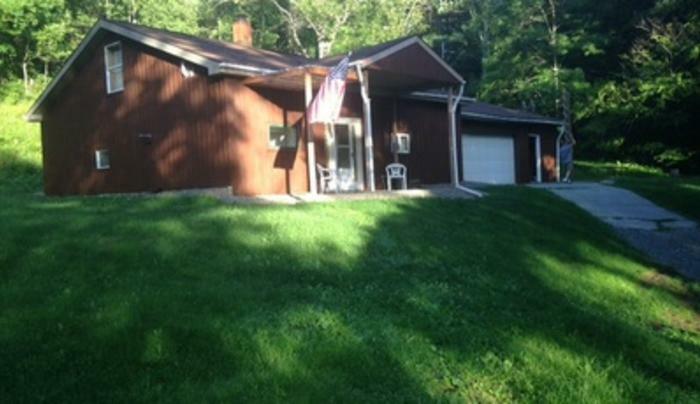 Marsh Creek Cabin is ready for you to enjoy a relaxing getaway in the Finger Lakes.